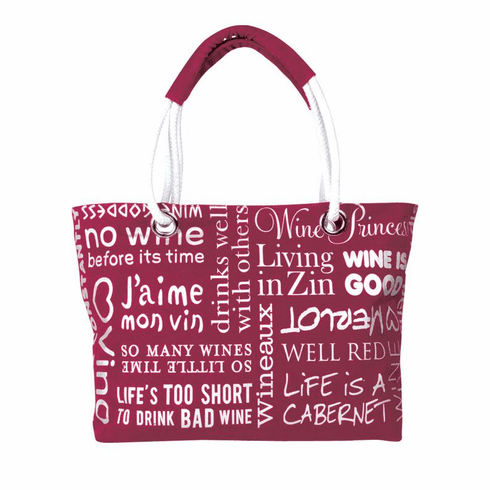 This beautiful canvas shoulder bag features an abstract design of wine words moving in all directions. It is printed in a stunning metallic silver ink. It has light grey, double rope handles and two inside pockets. It is perfect for toting souvenirs and bottles of wine.